My dress is a very classic fit-and-flare style that is pretty flattering on every figure and shape. I recommend everyone has a least one fit-and-flare dress in their wardrobe. The color and pattern are a little more unexpected, but I love it. The pattern reminds me of pool refection patterns a little bit, so it's very appropriate for this time of year! 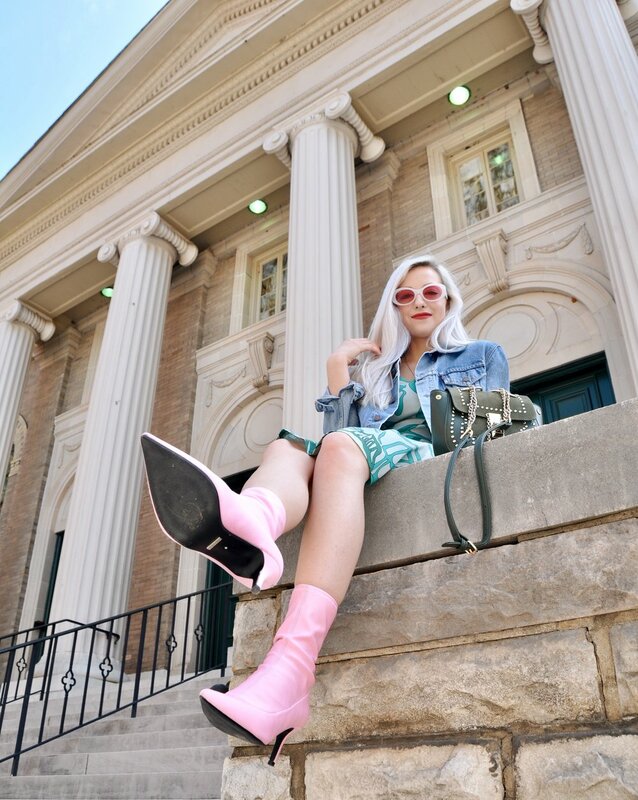 To update my dress and make my outfit a little more trendy, my pointed pink boots seemed like a match made in heaven. Pointed colored boots are very in right now, and they contrast the timeless dress well. The color combo is also a little unexpected and interesting. I've been obsessed with combining pinks and greens myself and I really love this variation. 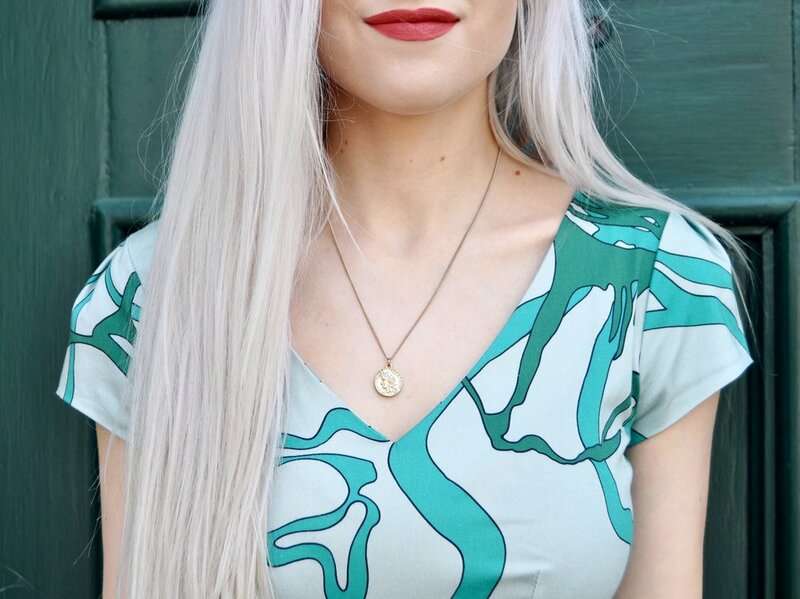 Another item that I added to my outfit was my coin necklace. Coin necklaces are really trending this season. I also went for my studded green bag to tie in the color of the dress and the studs keep it more on-trend. My sunglasses, from Tobi, added the perfect retro feel to the outfit with the white frames. They also help to tie in the pink from the boots. Thank you so much for reading this week's post, friends! I hope you're still enjoying my posts, even simple outfit posts like this one! Leave a comment down below if you're trying any new summer trends because I'm nosey and I'd love to know! Check back next week for a new post. Also, don't forget to follow me on Instagram to keep up with what I'm doing on a daily basis too! Have a lovely Monday tomorrow!